MARKET ADJUSTMENT! Community 5 STAR property maintenance included. 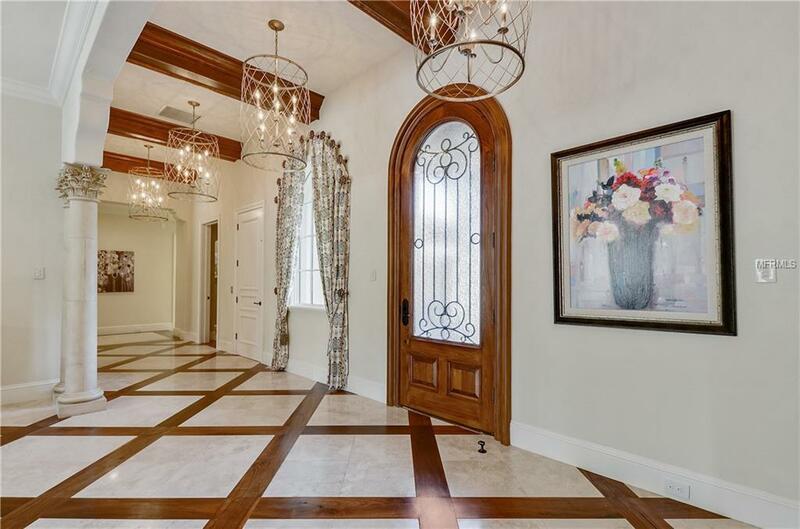 Located within the gates of the celebrated Isleworth Golf & Country Club, this two-story estate affords absolutely AMAZING beauty & charm throughout the more than 6,500 sq. ft. of living space. Located within a very intimate enclave called the GARDENS of ISLEWORTH, this home features the finest in estate living. Set against a breathtaking backdrop of luxuriant landscaping, sparkling water & natural Florida foliage, this sets the tone for an amazing atmosphere of an indoor/outdoor lifestyle. Wood & travertine tile floors guide you from the gallery entry directly into the formal living & dining room that is complete with custom fireplace, elegant ceiling detail & sliding glass pocket doors that open to the lanai & pool area. The large kitchen looks over the family room & includes a separate breakfast nook along with a center island, professional appliances accented by a copper hood, a wet bar, butlers pantry & a hidden walk-in pantry. With a private lounge & double-sided fireplace, the Master Suite features a cozy sitting area, as well as his/her walk-in closets, a lovely bath with dual vanities, a soaking garden tub & a large indoor/outdoor walk-in shower. Other home features include a whole house generator, home automation, light filtering retractable screens, a private home theater with incredible audio & an outdoor living area with glistening pool, spa with water rain feature, pergola & a large lanai with lounge area & summer kitchen.